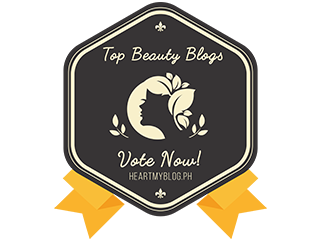 I have previously featured Mumuso McKinley Hill and I am receiving a few requests to review some of the products especially the cosmetics and skincare ones. 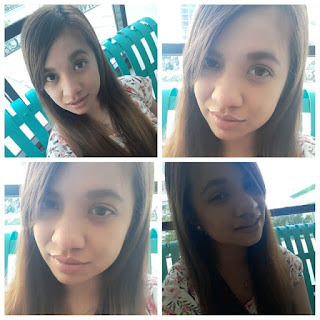 While I am testing a lot of Korean products these days, I decided to take it one by one and review accordingly. 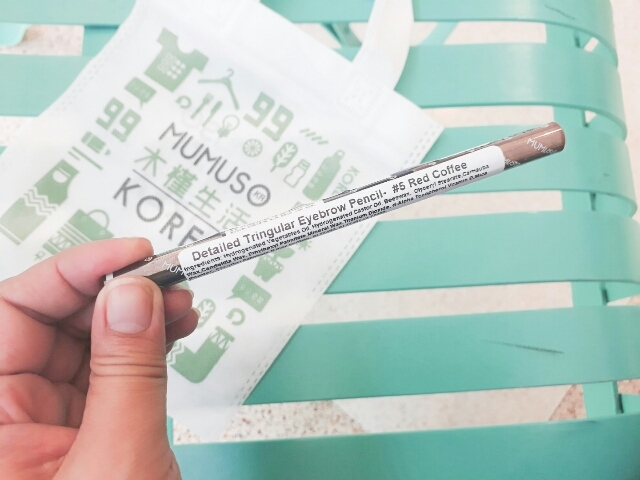 For now, my very first Mumuso purchase is tge Detailed Triangular Eyebrow Pencil in #5 Red Coffee.  I have reviewed a few eyebrow products and I'm still in the mood to try out a new one. 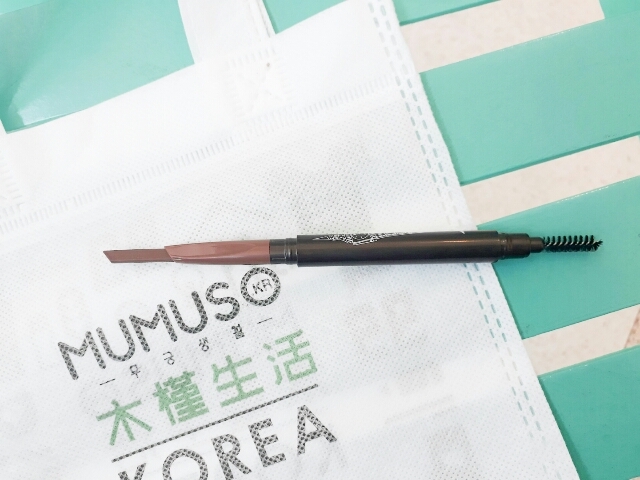 Besides, the Detailed Triangular Eyebrow Pencil from Mumuso is just 99php each! When I visited Mumuso McKinley Hill, there are only three shades available for this eyebrow pencil. Red Coffee, Black, and Light Brown. 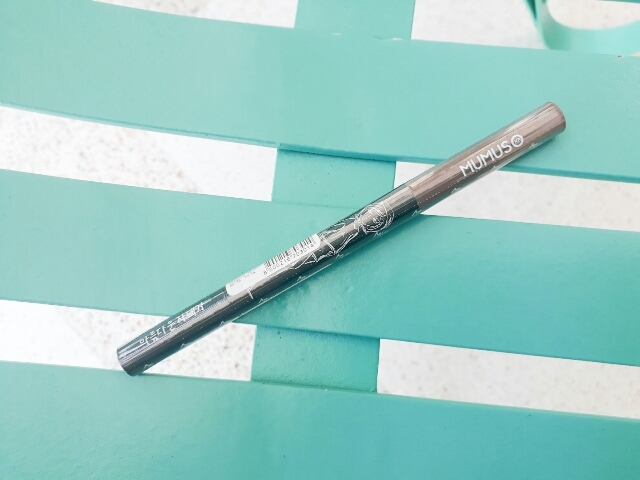 The pencil comes with a spoolie to brush the brows. It is not as soft as what I have expected but it doesn't hurt the skin while using. 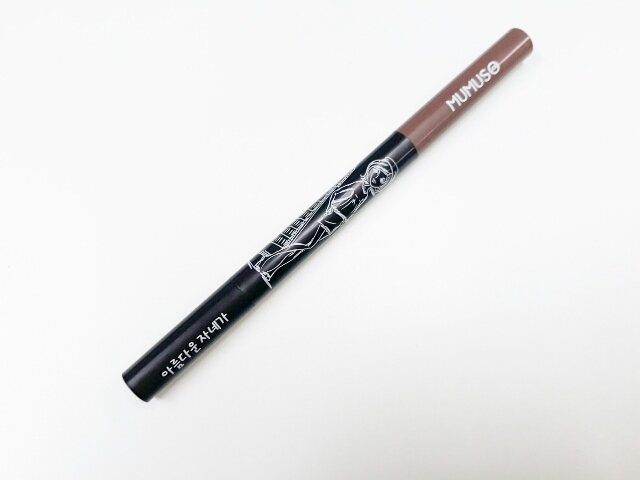 I like eyebrow pens with spoolies on the other end because you no longer need to bring a separate spoolie brush! 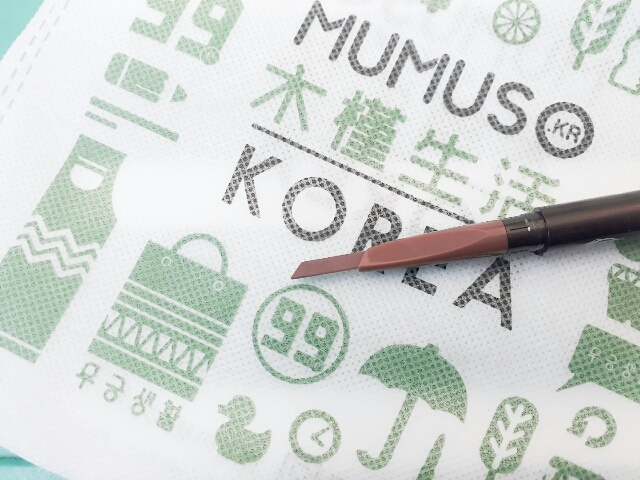 You can extend the pencil up to 2 inches because of its retractable feature. The only con I can think of about these retractable ones is that it can easily break if you extend it too much. And another con, (sorry, lol!) 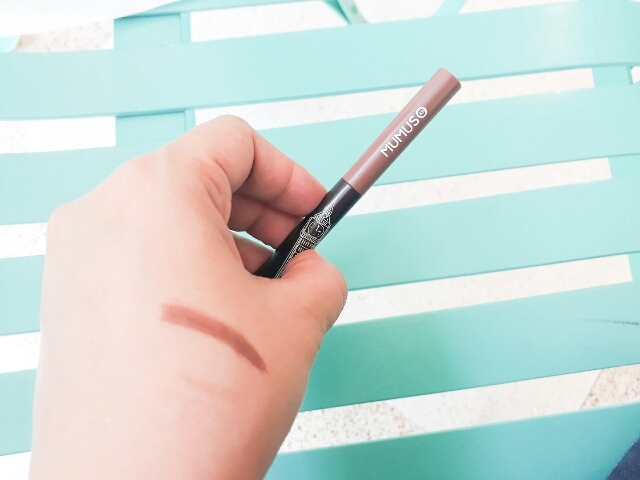 the eyebrow pencil is only 2 inches long and can be empty in just a month. But! Look at that pigmentation! Too good for a 99php price. It is easy to spread and the texture is not too oily. 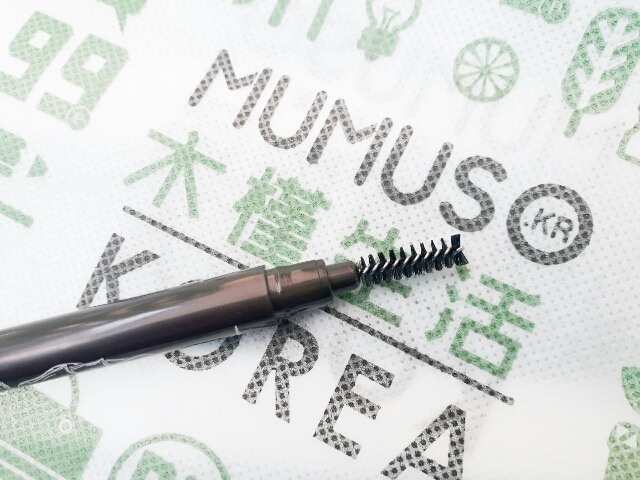 I actually enjoyed applying this on my brows! It's just the perfect shade because I have a colored hair. Here's a photo of me using the eyebrow pencil. I will definitely buy one again!